Jamaica vacations are quite typical, but that doesn’t mean you have to have the typical vacation. Why not do something other than the standard, boring tourist filled hotel? Make your Jamaica vacation special by staying at the Beach House Villas! Unlike other vacation rental Jamaica villas, the Beach House Villas are located right on the world famous white sands of Negril Beach. 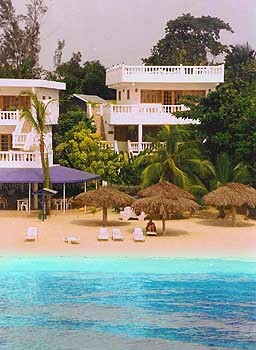 Your Jamaica vacation will be as private as you desire with our secluded feel. It will seem as though the beach belongs to you whether you are catching a few rays, or sipping drinks beneath a full moon. The Jamaica vacation villas at Beach House Villas are as luxurious and lavish as any hotel, but allow you to dictate the pace and flow of your Jamaica vacation. There are many choices in vacation rental Jamaica villas to choose from, but only one makes Jamaica vacations this memorable, the Beach House Villas!